The Hydro Flask is an insulated flask intended to keep cold drinks cold for 24 hours and hot drinks warm for 12 hours. The flask takes a simple, no frills approach to its design with a sleek design composing of a stainless steel vacuum insulated bottle, a coloured textured coating, a wide plastic cap and a durable rubber strap. The flask doesn’t feature a mechanical pouring system in the lid as is typical of insulated flasks and as a consequence is easy to clean and avoids the infamous issue of odd tasting tea. The flasks are available in a series of different sizes ranging from the small 12oz (340ml) weighing 280g to a large 64oz (1.8L) weighing 794g. 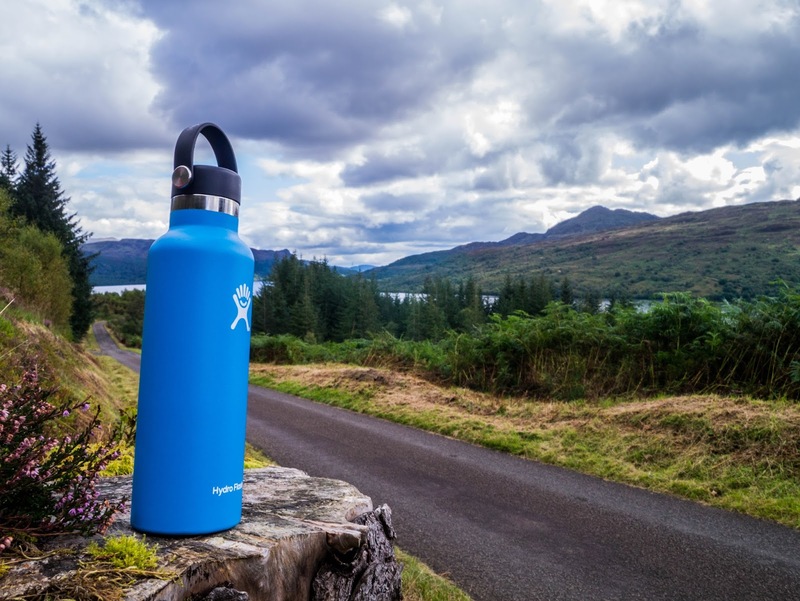 In this particular review, we tested the 21oz (596ml) standard mouth flask which we felt was one of the more convenient sizes for single person, single day use and weighs in at a convenient 340g. The flasks are available with a selection of caps depending on what your intended use is, including the standard screw top, wide screw top, standard sports top, wide straw top and a flip top. The flasks are all available in a good selection of different colours. The Hydro Flask next to the directly competing Camelback Chute. The Hydro Flask wins hands down on simplicity and efficiency of the design. For an insulated flask, the Hydro Flask weighs in at a reasonably modest 340g which compared to 350g for the standard Thermos with a small size isn't too bad. The flasks are durable and would easily survive a number of drops onto rocks and a good bashing in a rucksack. We're by no means soft with our gear and there has been no visible damage in the month of testing of the product. If durability is of concern, however, the Hydro Flask customer service is renown for being very good based on the experience of others. The flask claims to keep drinks hot for 12 hours or cold for 24 hours which we have found to be accurate. We tested this by placing a boiling drink in the flask and leaving it out of a bag for 12 hours and were impressed to see that the drink was still hot. 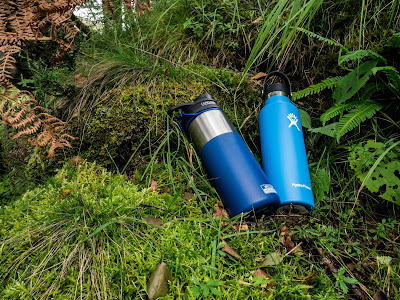 If keeping a drink hot or cold for a long period of time is your only requirement for a flask, better flasks do exist (i.e Thermos Ultimate Series) but we felt that the 12 hours provided by the Hydro Flask were more than enough for keeping a cup of tea warm for a day out. 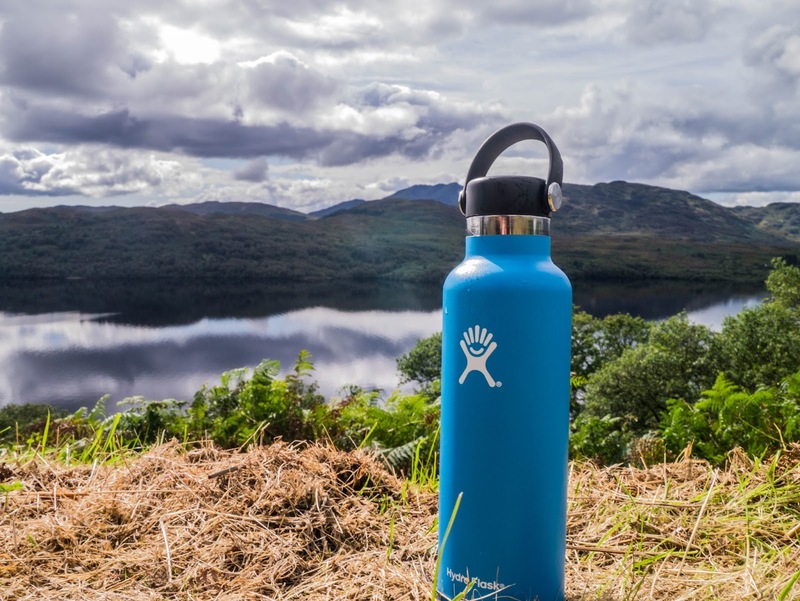 At a retail cost of £27, the flask is definitely not the cheapest option available if you are simply looking for a water bottle (use a simple plastic if that's the case) but for a multi-use bottle and flask, the Hydro Flask is priced competitively. One of the things which bugged us a bit was the overly American use of Ozs for the flask sizes, forcing us to refer to conversion tables for each of the sizes. In this respect, the flask is not very well aimed at the worldwide market. With this being the only major flaw we identified with the flask, we would highly recommend the product to anyone looking for a new bottle. Things we don’t like: American sizes, not the cheapest.